For two days now booking a hotel in France have given my stressed out nerves and not so much happiness. That was until I found out how Paris works and that the weird arrondissements is some form of areas. Am I right? That made the whole thing much easier so please don´t spoil my happiness now. After looking through the blog granntanter.se, the girls that are arranging the trip we decided to go for Hotel Eldorado which they suggest on their site and write fondly about. I think it is a bit of a perfect fit and wasn´t horribly expensive as the other hotels. Thanks M-R for all the tips as well! It is after you rabbling about about the arrondissements (must be the hardest word ever) that I understood that that was what you should look for. 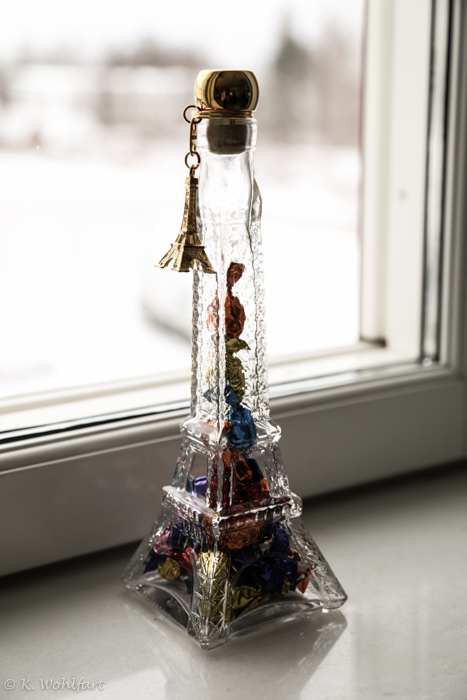 Found a old photo I published after my classmate went to Paris and came home with this candy eiffel tower which I snapped a photo off quickly before lecture. Found the photo pretty suiting for this post about unraveling the hotel market of Paris. Canon EOS 5D Mark III. Adobe Photoshop Lightroom 5. Previous PostBooking a hotel in France. Next PostPreparing for Porvoo with a festival guide from Zalando and some soup.